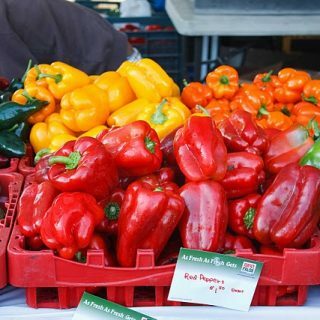 After visiting my local farmer’s market in Collingswood, I was immediately drawn to the displays of fresh vegetables and fruits….it brought back so many great memories of traveling through France and Italy.The Markets in France were my absolute favorites! In France it seems as though everything they centers around the most two important aspects of life………Food & Love, and as anyone can see the both walk hand in hand. The displays of fruits and vegetables so neatly arranged in appealing formations, calling out to you attacking all of your senses…..sigh…..what a wonderful life! I remember so fondly the markets in France and Italy, the piles of fruits and vegetables, so artfully displayed, the beautiful array of colours, the fragrance of fresh flowers, and ripe fruits filling the air. On our first trip to Paris we stayed in the Latin Quarter and our favorite local market will always be on the Rue Mouffetard. We would walk down to buy our morning pastries and sip our Cafe au Lait before heading out for the days adventures. My wife would always be sure to stop and pick out a few pieces of fruit for us to snack on later that day (and I would buy more pastries…lol). Of course being completely baffled by the monetary system (before the euro), I would just stick my hand out full of coins and let our fruit vendor take what he wanted (a true American…lol) , on our third morning things went a little differently though. Our new friend the fruit vendor took it upon himself to start our education, he now felt a type of connection to us and as he picked up each coin he said what it was while waiting for me to repeat it. This went on with every coin he picked up, and then told me the price again, and I handed him the correct coins!! He seemed very pleased at this and we both left each other smiling. This was only one instance of the supposedly rude Parisians helping us to understand their culture. At our Hotel we were also given lessons in French Etiquette and in proper manners, but when we left we were given hugs and kisses and sat enjoying a cup of tea with the hotels owner… The Parisians were kind, helpful and a very warm people, and that is how I will always remember them. What Americans tend to forget is that The French our much more formal than we are, and expect to be treated respectfully (which is exactly how they will treat you), and unfortunately in our hurried lives we have forgotten this….I have so many Wonderful stories about our trips to France and Italy, so many lovely memories of great places, great food, and great people!! But we will leave them for another time. This recipe comes from a trip to the south of France, were in Aix en Provence we enjoyed a local glass of wine and as we sat an listened to music flow through the evening breeze we were brought a lovely dish of Roasted Vegetables, and Crusty Bread…..I would never have believed that I could be impressed with a plate of Vegetables…..but this was truly heaven. As the night wore on and we brought over more to snack on, I managed in my poor French to compliment the owner on his wonderful vegetable mixture….He explained how it was simply a rustic country Ratatouille, nothing special just something his mother made using a variety of fresh vegetables and herbs. This is his recipe with just a few changes made. This is not a classic Ratatouille or even the lovely Napoleon version that Disney passed off as Ratatouille……but simply a rustic country version. I hope you enjoy it as much as I did!! Wash and cut the vegetables in a variety of shapes and sizes but try t0 keep them bite size. Rinse the herbs. Combine everything in a large bowl with enough olive oil (about 2 Tbsp) to coat the vegetables, add the salt and pepper and mix well. Place them in an ovenproof dish. Cover the dish with foil and bake for 45 minutes, the smells coming out of the kitchen will be intoxicating. At this point the vegetables should be cooked but not colored, and there should be cooking juices at the bottom of the pan. Remove the foil and bake for another 30-45 minutes, keeping an eye on the progress until the cooking juices have mostly evaporated and the vegetables have taken on a nice roasted aspect. Dennis, this looks delicious! I'm definitely going to attempt it after my next visit to the farmer's market. It's so fresh & colorful looking and the photo makes my mouth water. YUM!! I love going to the farmers market and this ratatoulie is just bursting with flavours. 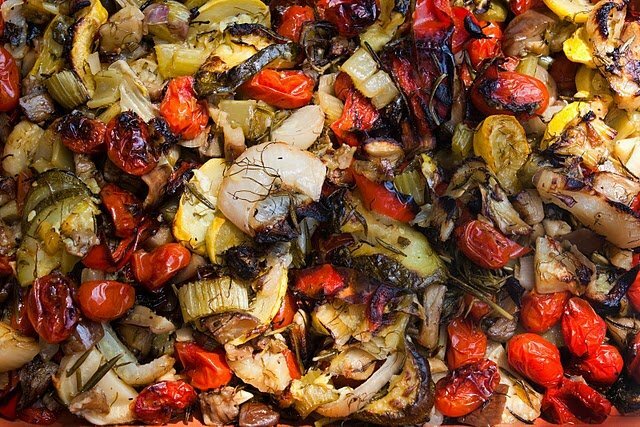 Roasted summer veggies are one of my very favorite things. Love your blog! You are absolutely right about the French people. 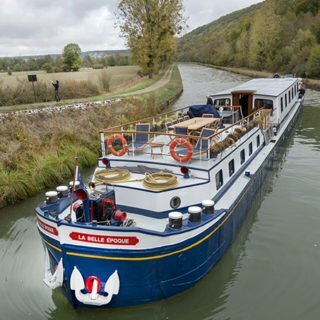 I've been to France and immediately notice that most Americans made no effort what so ever to communicates in their language, they just expected everybody to speak English or at least some English. I'm not fluent in French at all, but I tried to use as much as I remembered of my high school French and honestly I had no "Rude French" experiences. On the contrary, I only have fond memories from those trips. After a million years (or so it feels sometimes) of living in Europe (both France and Italy) I still love going to the market and never take the bounty of gorgeous fruit and vegetables for granted. 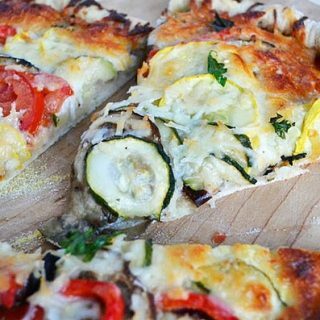 I love summers fed with ratatouille and I love your confite twist on this French classic. Beautiful! Wow I love your blog! Your recipes look delicious. 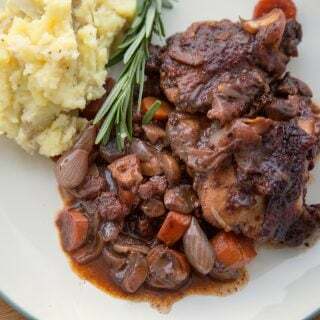 I love food and recipes and have a recipe blog myself. Always nice to meet new blogging friends online. Soon, very soon, al the ratatouille ingredients will be available in our farmers' market. You can rest assured that, then, this dish will be in my oven! I decided to list you on my sidebar so as not to miss any of your posts. Hmmm, an interesting site comes up when one types in "mouth" instead of "mount"!! Yikes, it was there for a couple of hours before I noticed that I had added an X-rated site!! It has been fixed and we got a good laugh. Love your blog! Beautiful dish and so delicious! I want to travel through Europe so bad! I'm an art historian, it has to happen some day. 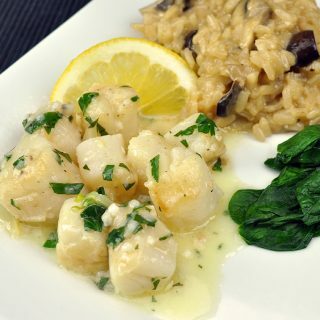 This dish looks great, I'm adding the recipe to my pile of ones to try. The pics really do it justice! I just found you from Never Growing Old's Over 40 Blog Hop. I'm enjoying visiting your blog. I love the mix of vegetables in your ratatouille. The dish looks so flavorful and gorgeous. Thanks for sharing your memories of France and Italy. Farmers markets are great places to visit on vacation. Now that screams summer to me!!! 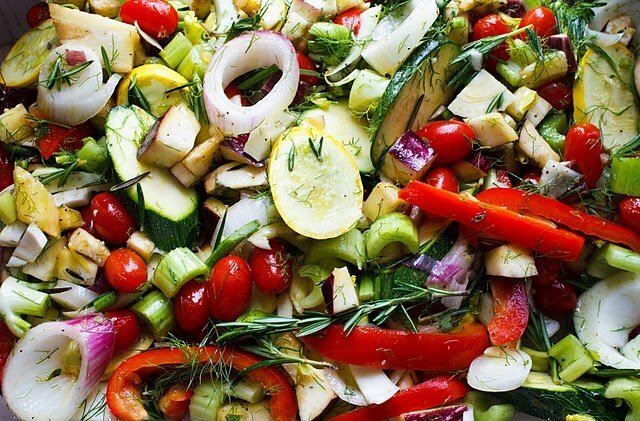 ciao!questo mix di verdure deve essere buonissimo!! grazie del tuo commento…mi piace molto fare il pane…e anche fare varianti alle solite ricette. ho fatto anche questi panini con i fiocchi di latte e sono piaciuti moltissimo. What lovely memories you have associated with this rustic ratatouille! It looks absolutely delicious and just screams Summer! Lovely blog. So very happy to have found this mouthwatering site. I found your link from the 40 and Over Follow Friday, and I'm SO glad that I did! Just reading through your current post made me sigh in a contented manner. I just might have to try this recipe out soon… Add a bit of bread, cheese, wine… 🙂 A perfect summer meal in my mind. I'm definitely a new follower and look forward to more from you in the future! Did you know that you are one of my favorite new blogs around? Well you are! And to prove it I've got a little somethin' somethin' for you over at my place today!!! Swing on by and check it out. I fell in love with the French people and the markets on our trip to Paris as well. Thanks for the sweet stores. I love all the colorful veggies you've used in this delicious dish. Hi.Thanks for dropping by my blog and leaving a comment. It led me to your blog which I'll be browsing around for some recipes and good food. ooh this ratatouille looks and i bet is sooo good. The photo makes it pop! Ratatouille has always intrigued me, but I have been a bit scaird to make it. This one looks so delicious. I may have to give it a try. Thanks for sharing!!! 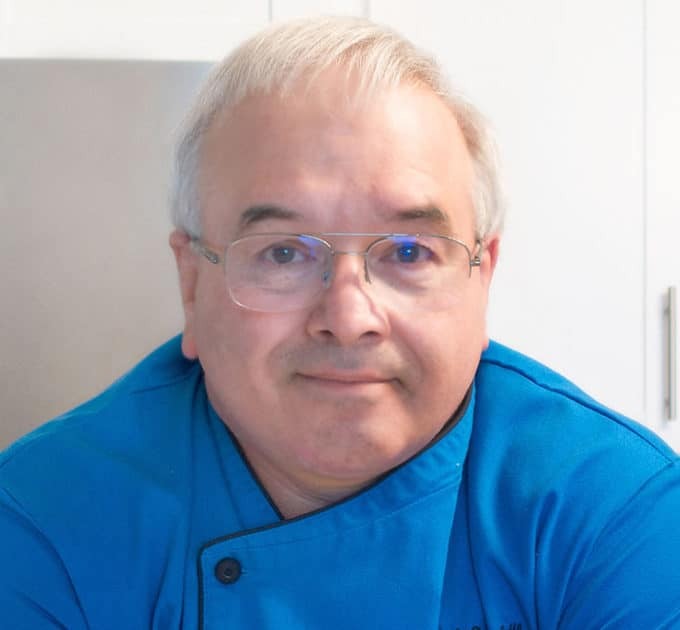 Chef Dennis, in case you or any of your readers are interested in participating in a friendly little contest, I've announced the theme and details of the July Culinary Smackdown on my blog. This dish would be a perfect fit, and I'm sure you and others here have loads of creative ideas to share. The more the merrier! Thanks for nice comment on my blog. This looks amazing!!! Thanks for visiting my little blog!!! WOW that looks great!!! (ahh france…my boss just left today heading that way…) beauty! I love other culture's food : ) the way the appriciate it is sometimes what makes it intresting! How lucky those girls are to have you for a chef!! This looks fabulous, I am your newest follower!! Thank you for writing such wonderful things about my country. You definitely felt in love with France, there's no doubt about that ! I love ratatouille. Actually, it was my favourite dish when I was a child ! It looks so rustic and fabulous. I like how all the individual vegetables and herbs keep their integrity after cooking and not all blend together. I bet it tasted heavenly. Nice! I've always wanted to try ratatouille. looks delicious may have to try that soon. what a stunning rustic dish. I have always enjoyed my trips to Italy and France as well. I love the people and the food. What a fabulous photo! Looks great! wow! this is my first time on your blog, and i must say…it is exquisite! you are a really good writer with a lot of talent, and the content of this post especially was so fun to read! you also seem to have a lot of passion in being a chef. it reminds me so much of my best friend. Thanks for stopping by my blog. 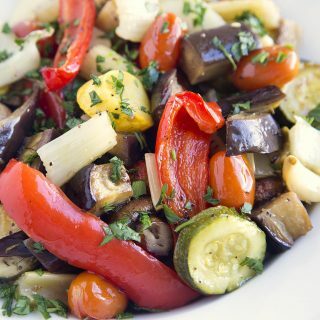 This ratatouille recipe looks like a fabulous way to use farmers' market veggies! Oh my gosh, I think that I just concluded that a Ratatouille is varied roasted veggies? I had no idea, thank you so much for the education. My husband has been to France twice and is trying to talk me into it! It's been 8 years now that I'm living in France and everyone shares their recipe for *the* ratatouille the purists say that each vegetable needs to be cooked separetly and then joined later on and some say you cook everything at the same time. I've had both versions and to be honest the first is the most tasty, but in real life I do the second version. Your recipe looks wonderful ! France and Ratatouille go hand in hand. And you are right those markets! Love your photos,your description and memories.